Handling Negative Feedback on Social Media | Sub Prime Auto Leads - Car Sales Leads - Special Finance Car Loan Leads by CyberLead, Inc.
Social media is a highly effective communication and marketing tool for all types of businesses including car dealerships. It is a great way to keep in touch with your customers, reach potential clients, market new products and advertise sales. It has totally changed the face of marketing and one-sided communication, allowing your business to reach out to the public and have them reach back. While there are many advantages to social media, there is a downside – customer complaints. 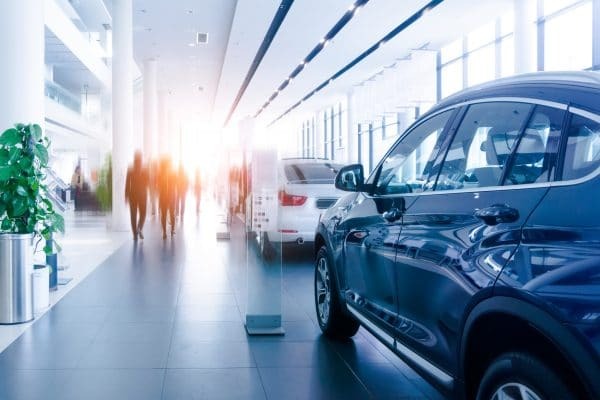 While customer complaints are not a new thing, in the past, complaints may have been received through emails, phone calls or in person; in response, they were addressed through the same channels – all behind closed doors without any public embarrassment to your dealership. Today, with the rise of social media, complaints have moved to a much more public forum. While you can never stop people from posting their complaints or dissatisfaction on social media, you are in control with how your business will handle it. What you do (or don’t do) once a negative review is posted online can make or break your dealership’s reputation. According to DrivingSales.com, “It’s becoming more and more common for unhappy customers to voice their frustrations via social media in hopes that someone – anyone — will hear them. It’s up to you to make them feel heard and to rectify the situation.” If your dealership is faced with some negative feedback on social media, following are some tips and best practice to keep in mind. Many dealers just ignore customer complaints and hope that the problem will go away or remain unnoticed. In the social media world – nothing goes away. No response often provokes additional negative comments, whereas if you respond quickly and effectively it can result in increasing customer advocacy. The goal is not to only answer a dealership complaint, but to do so as fast as you can. If you can, respond within 15 minutes, but if that’s not possible, aim for under an hour. According to a social media survey, 60% of customers who complain on social media expect a response within 60 minutes. Your response should always be professional, calm and polite. Thank the writer for their feedback, apologize, address their issue and if applicable ask them to send you a private message. You always want to try to move them from the public post to a private message and resolve the details in private if possible. Never underestimate the importance of properly responding to negative reviews online. One negative review that goes unaddressed has the potential to spiral into something more damaging. If customers see too many poor reviews, especially ones that go unaddressed, you just may lose their business. Of course the best way to deal with negative reviews is to prevent them from happening in the first place. Use negative feedback as an opportunity to review your customer service techniques and be realistic about where your team can make positive changes. Turn a negative experience into a positive learning practice for your car dealership.